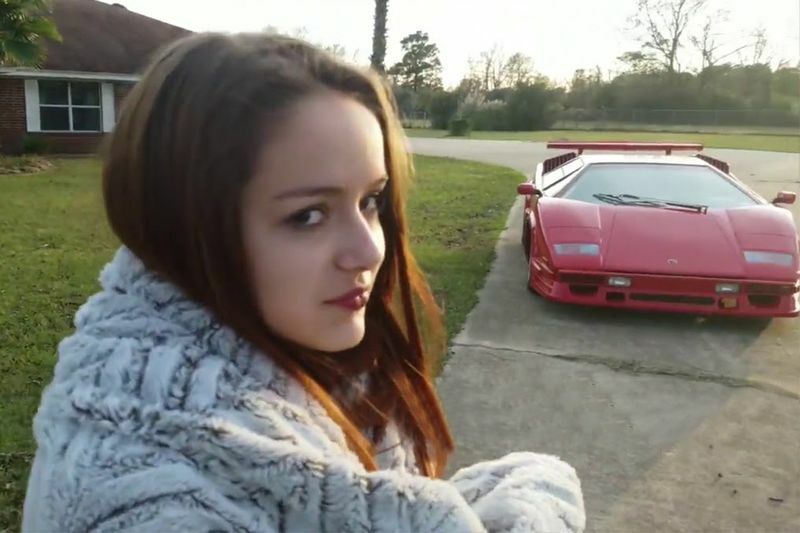 Check out this ungrateful girl's reaction when she doesn't like the Lamborghini she got for her 16th birthday. In most situations, if a youngster happens to be fortunate enough to be able to get a new car for their 16th birthday, they would be ecstatic – or at least act like they’d act as such – even if they didn’t get exactly what they wanted. I mean, even if it’s not your exact, perfect vision of a first car, being able to get gifted a car is always something really special. At the end of the day, not every parent or loved one is handing out cars to 16-year-olds, so just being able to have the ability to travel around freely would be more than enough for the 16-year-old version of myself. This time, however, we check out a video that shows off the complete opposite as a 16-year-old is graced with an incredibly expensive, and exclusive, car in the Lamborghini Countach – a machine that costs hundreds of thousands of dollars – only to shoot it down in favour of a Lamborghini Aventador, a newer model that’s swinging in a similar ballpark price wise. Her father claims that he bought her this older car so that she can work her way up to the Aventador. Over here in sunny South Africa, from our perspective, this clip bares lots of red flags as far as it being staged is concerned. The biggest one being that the cars are pretty similar in price while the Countach probably has a higher future value, contrary to her father’s “moving up the ladder” story. However, that hasn’t stopped social media from going absolutely nuts. Take a look at the video below, and get the full rundown of the situation as it unfolds in front of your eyes with lots of complaints being hurled in dad’s direction. If the video is real, it would definitely be pretty outrageous to see anybody act like that, but we will leave the detective work up to you to decide if this one is a phoney or not. Check it out for yourself and be sure to tell us what you think of this one as this 16-year-old goes on a tour of her new ride that she isn’t exactly feeling! Girlfriend Pulls Up Emergency Break On Highway! Lamborghini Is Working On A New Limited Edition Model! Video: Lamborghini Launches A Smartphone! Video: The Lamborghini Hurcan Performante Hits The Tracks, Again! Video: Driving The Lamborghini Centenario Is Insane As You Would Expect! The Novitec Torado Lamborghini Aventador Sv Is Ready To Pounce!